BACK ON THE MARKET and Price Improvement!! 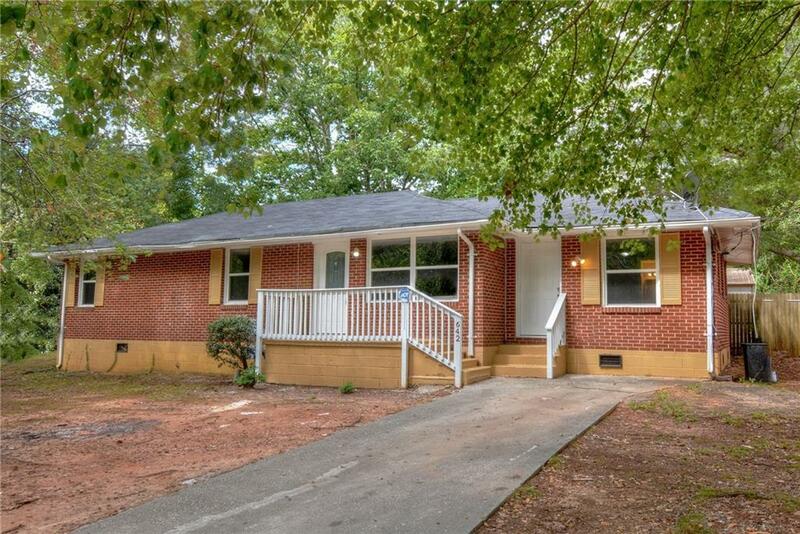 AWESOME CORNER LOT 4 BEDROOM 2 BATH BRICK RANCH! TONS OF UPDATES THROUGHOUT! FRESHLY PAINTED INSIDE AND OUT, NEW FLOORS AND WINDOWS. KITCHEN HAS STAINLESS STEEL APPLIANCES, NEW COUNTER TOP, SINK AND CABINETS. EVERYTHING IN BATHS ARE TOTALLY REMODELED, ONE BEDROOM HAS OWN BATH AND PRIVATE ENTRANCE, GREAT FOR ROOMATE PLAN. LARGE LEVELED FENCED IN PRIVATE BACKYARD WITH VERY LARGE STORAGE SHED THE POSSIBILITIES ARE ENDLESS! GREAT LOCATION, CLOSE TO 285, 78, SHOPPING AND DINING!